$13,000 Fine for Unauthorized Filling of Lands on the Niagara Escarpment. A Mono property owner and local contractor have been fined a total of $13,000 for depositing in excess of 100 loads of fill onto a property without obtaining a development permit from the Niagara Escarpment Commission. Hans Stiegert and John Grit both pleaded guilty to a charge under the Niagara Escarpment Planning and Development Act. 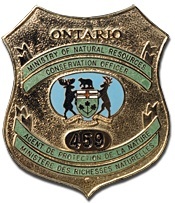 The investigation and charges resulted from a joint investigation by the Niagara Escarpment Commission (NEC) and the Ministry of Natural Resources. The court heard that between July 1 and August 31, 2011, Grit deposited loads of fill on Stiegert’s property. Grit’s contracting company profited from soliciting fill from construction companies across the region and used Stiegert’s property as a dumping site for the fill. Neither party attempted to obtain a development permit to ensure the work they were undertaking was consistent with the Niagara Escarpment Development Plan. Act is to provide for the maintenance of the Niagara Escarpment and land in its vicinity substantially as a continuous natural environment, and to ensure only such development occurs as is compatible with that natural environment. The Niagara Escarpment Plan was Canada’s first large-scale environmental land use plan. The cornerstone of Ontario’s Greenbelt – the Niagara Escarpment – was designated a UNESCO World Biosphere Reserve in 1990. The 450-million-year-old Niagara Escarpment stretches 725 kilometres through Ontario’s most populated regions and is home to hundreds of unique species in its diverse ecosystems. To report a natural resources violation, call 1-877-TIPS-MNR (847-7667) toll-free any time or contact your local ministry office during regular business hours. The Niagara Escarpment Commission can be contacted at 905-877-5191. ← $10,000 in Fines For Possessing And Listing For Sale Spiny Softshell Turtles.